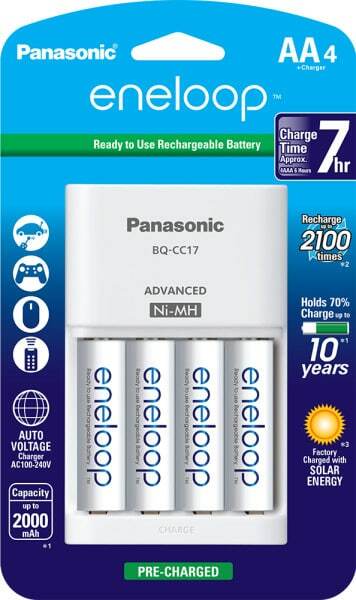 eneloop batteries, from Panasonic are the best batteries that you can use. They are not only rechargeable, but also pre-charged, so you can use them right out of the package. 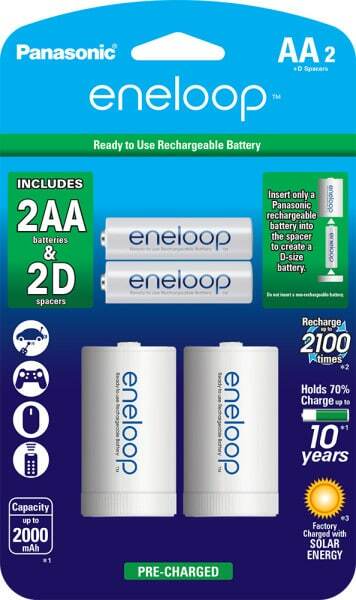 Since its launch in November 2005, eneloop has become well-known around the world as it has revolutionized the consumer-use rechargeable battery segment with its unique feature – it is rechargeable up to 2,100 times. Incorporating new technologies for material, manufacturing method and structure developed through the knowledge gained since the first release of eneloop the number of times a battery can be recharged has been increased to approximately 2,100 times compared to the conventional models. With the ability to recharge the battery more times, the new eneloop is both more economically competitive and enhanced in environmental awareness as it means the amount of overall battery waste will be greatly reduced. 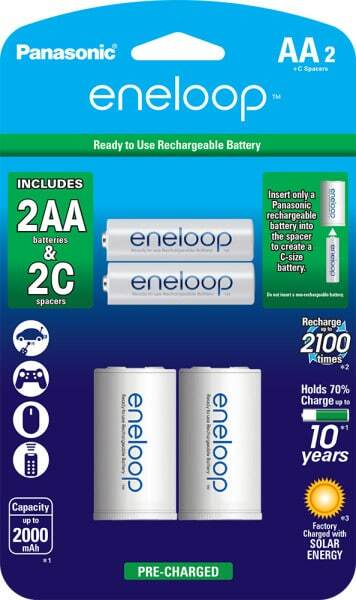 In 2005 eneloop was launched as a new type of rechargeable battery that would literally change the way people live, work and play. This rechargeable battery was created with a very simple idea in mind: provide a common energy source that can be reused over and over again. This “looping energy” became eneloop. 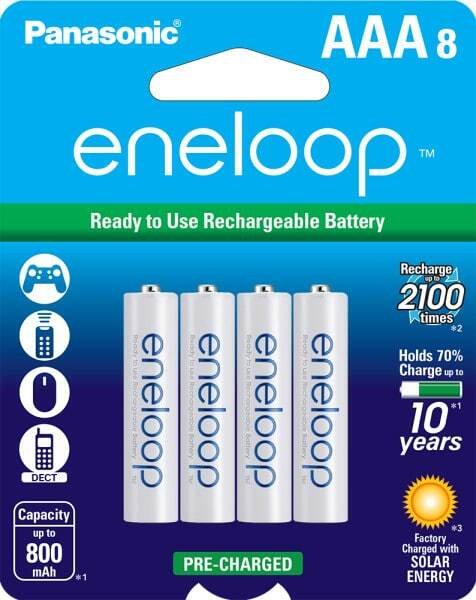 Today, eneloop battery cells are recognized by millions of consumers worldwide as the industry’s premier rechargeable battery. 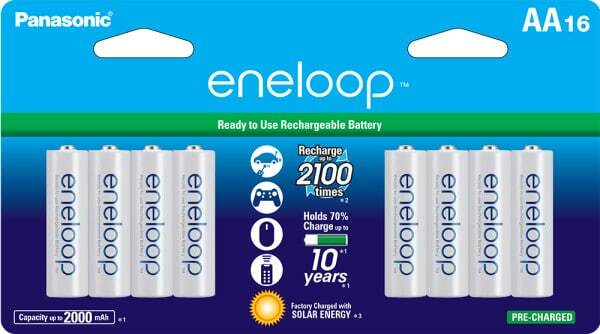 eneloop’s “signature features” include ready to use rechargeable power with the ability to hold 70% of their charge for up to 10 years (when not in use), they can be recharged up to 2,100 times, they have no “memory effect” and have outstanding performance even in extremely low temperatures (down to -4° F). 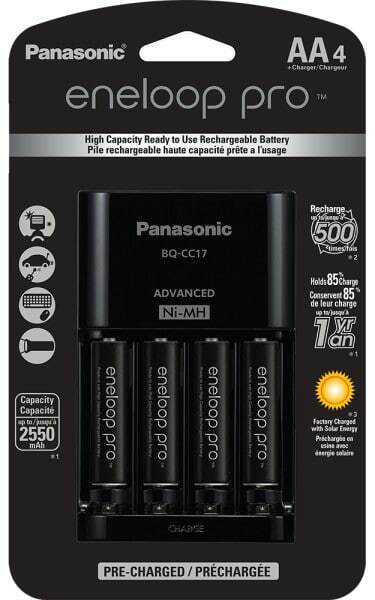 Rechargeable batteries typically have a self-discharge characteristic which gradually reduces charged energy over time. This is considered the downside of typical rechargeable batteries. It renders them inconvenient since they cannot be used immediately after being purchased, requiring the batteries to be charged to start using them and recharged if they have been left on the shelf for a period of time. 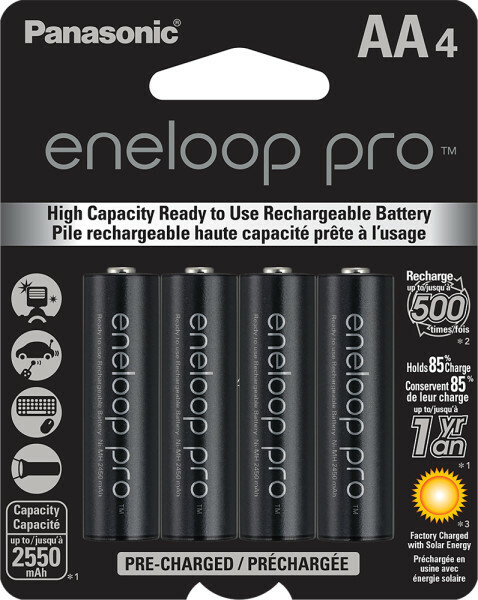 Since eneloop batteries have a low self-discharge rate, they are pre-charged and usable immediately after purchase like alkaline batteries. 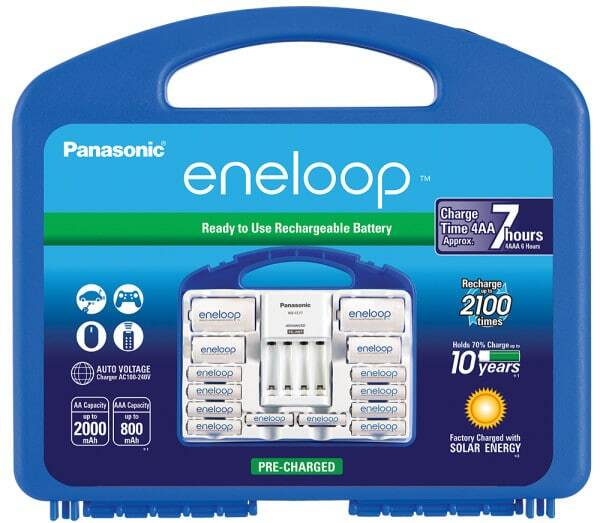 The new eneloop batteries continue this tradition by using original “super-lattice alloy” for negative electrode material and improvement of materials and structure, a fully-charged eneloop battery can maintain approximately 70% of charged power even after 10 years, ensuring that power is available when needed. Americans deposit up to 6 billion disposable batteries into landfills each year! 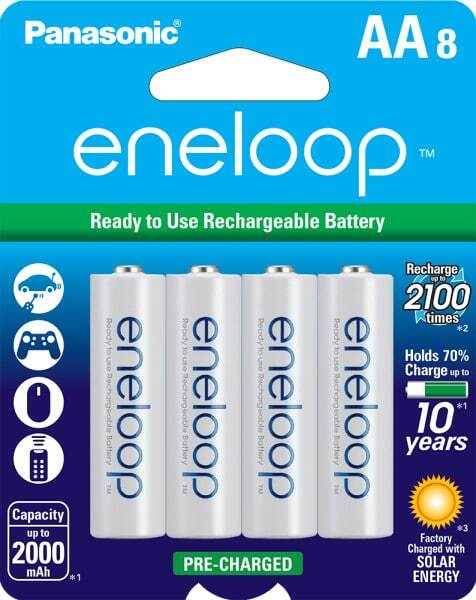 Since eneloop batteries can be recharged up to 2,100 times, the purchase and use of a single eneloop cell can keep hundreds of batteries from entering landfills.